Nothing ever is worth taking your life for. Please, please, please reach out for help. We are here to support you in your quit journey. We are certainly not equipped for the BIG stuff. Everyone here cares for you greatly. There are so many wonderful things ahead for you. You are so young and we want what’s best for you so please find the help you need. You sure would be. Are you talking to someone about feeling that way? I'm trying to learn to live in the moment. Not something I've been good at in my life. Most nights when I go to bed I listen to a meditation on YouTube. I normally fall asleep before it's over, but I'm finding it helpful to make me focus and be more mindful. I really like Michael Sealey and Jason Stephenson. Think about giving it a try. Get help. NOW. We love you, but you also need face-to-face love, and you deserve it. I am so glad that Barb said something to you that 'clicked' with you!! 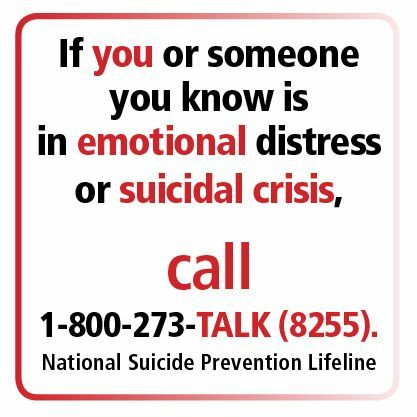 I hope she continues to talk with you And I hope you don't mind but I'm posting the number for the National Suicide Prevention Lifeline here. Not just for you should you need it, but for anyone here who may benefit from talking to someone. I think everyone here worries when one of our members says things like "...if I took my own life" so please let us know you're ok And if you aren't, please reach out and talk about it. You do matter and you are important!! Thanks to Barb for pointing that out! Cole, a Help line can help so very much. I am hoping you know how important you are here. Nothing is worth taking your life, ever!! Get help, you want to take care of yourself, you want to celebrate your life, it is evident in all of your posts. PLEASE. You WOULD be missed, Cole. Believe it. Every word you have written on here has touched somebody in some way. People who don't feel that that are worth anything have no idea the impact they have made on others. The world would be a sadder place without you in it. You are not alone. We care.